The Township of Tay is located in northern Simcoe County on the shores of Severn Sound, better known as Georgian Bay in Ontario in Canada. The municipal boundaries, as reorganized in 1994, stretch from County Road 93 and the Wye River east to Highway 400 and north from County Road 23 (Vasey Road) to Severn Sound. The land area is 139 square kilometres. In addition to a large rural area, Tay Township includes the communities of Port McNicoll, Victoria Harbour, Waubaushene and Waverley. The total population in 2006 was 9,748. The Tay Municipal Office is located at 450 Park Street, Victoria Harbour. 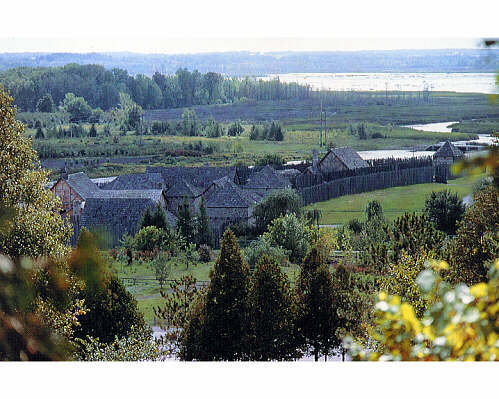 Our early history stretches back many centuries when First Nation peoples, primarily the Wendat (Hurons), farmed and trapped the area from their villages on local rivers. Their trade with neighbouring villages and tribes followed well-established water routes and overland trails. In 1610, Samuel de Champlain sent a young Frenchman, Étienne Brûlé, to live among the Hurons to learn their language and culture. Brule is an under-celebrated first European explorer of the Great Lakes Region. 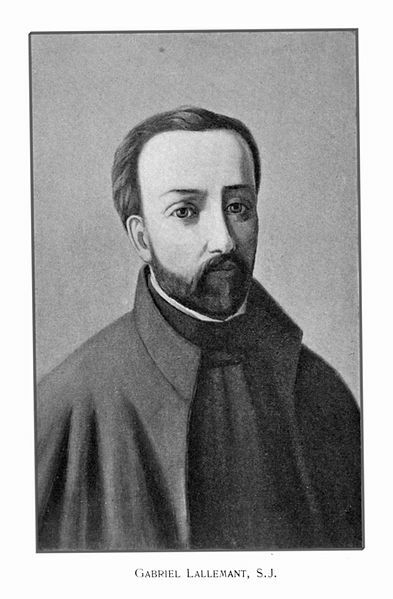 In 1615, Roman Catholic missionaries, Recollect Fathers like Joseph Le Caron, established the first Christian mission in Canada in this area. They called it Huronia and it stretched from present day Tiny Township, through Flos, Tay and Oro – Medonte, to Orillia. The Recollects were later replaced by the Jesuits. The Jesuits would live in or visit the native villages to convert and minister to the inhabitants; in 1639 they established a headquarters at Ste. Marie on the Wye River. A census of the Huron nation by the Jesuits in that year reported 32 active villages, consisting of about 700 lodges and 20,000 people. Village sites include St. Louis (as named by the Jesuits), on the Hogg River south of Highway 12 off Reeves Road, and nearby St Ignace II, on the Sturgeon River off Rosemount Road. Also in 1615 the governor of Quebec, Samuel de Champlain, came to lea d the Wendat in a raid agains t their fur trade rivals, the Iroquois confederacy, based in what is now upper New York State. War with the Iroquois continued until 1649, when a large Iroquois war party attacked and overran several Wendat villages, including St. Ignace II and St. Louis. 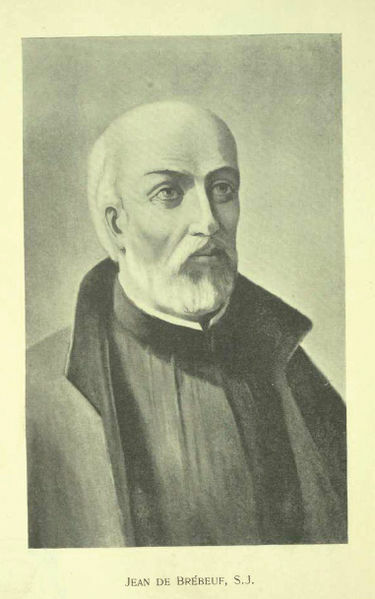 At St. Louis, the raiders captured two Jesuit missionaries, Jean de Brebeuf and Gabriel Lalemant, and brought them to St Ignace II, where they were tortured and killed. These events led the Jesuits to abandon and burn their headquarters at Ste. Marie, and retreat with their Wendat converts, first to Christian Island and then to Quebec in the following year. In commemoration of the Jesuits, the Martyrs’ Shrine was opened in 1926 on the Wye River near Ste. Marie. In 1930, Pope Pius XI canonized Brebeuf, Lalemant and 6 other martyred missionaries as saints, the first saints of North America. In 1940 they were declared patron saints of Canada. After the massacre of the Wendat, and the dispersal of the survivors, the Ojibwa and other native peoples, together with European fur traders, moved into the area. Lieutenant Governor John Graves Simcoe came by the Severn River in 1793 to explore sites for a new Great Lakes naval and military post, later to be established at Penetanguishene. The adjacent town became the first permanent settlement in Simcoe County and a major fur-trading centre. In 1798 the Ojibwa sold much of the land in present-day Tay and Tiny Townships to the government of Upper Canada for settlement. Simcoe was the prime instigator of road building and settlement. A military road from Barrie to the post at Penetanguishene was opened in 1814 (the Penetanguishene Road); it was later developed into County Roads 93 and 27. Construction was so primitive that, at one time there were 37 taverns between Barrie and Penetanguishene! Tay and surrounding Townships were surveyed in 1820 by James G. Chewett, who had made the first survey for the Welland Canal. It was difficult in the woods to run perfectly straight lines and measure distances accurately. In all the townships there were “jogs” in the middle of the concessions, causing obstructions and deviations on the side roads. Tiny, Tay and Flos Townships were named after pet dogs belonging to Lady Sarah Maitland, wife of the Lieutenant Governor of Upper Canada from 1818 – 1828. Road development brought in the earliest settlers to Tay, who took up land on the west side of Lines one and two. In early days the Township was largely rural and most residents were farmers. Pioneer homes were built of logs cut in the bush. Thousands of acres of trees were felled and burned to clear the land for farming. The first settler in Tay Township was said to be Michael McDonnell, a former fur trader with the Hudson’s Bay Company, who was granted lots 101 to 104 inclusive on Line2. He settled there in 1829. Many of the first roads in the area followed Indian trails. For example, the Coldwater Road (the later Highway 12) opened in 1830 and followed the path of the canoe portage from The Narrows at Orillia to the Coldwater River. After the war of 1812-1814, these roads, together with free land grants to militia and Loyalists, helped to spur settlement. Many settlers purchased their land from the Canada Company, a large private land development company, formed in 1825 to aid the colonization of Upper Canada. The Company assisted emigrants by providing good ships, low fares, implements and tools, and inexpensive land. The company built roads, mills, and schools and advertised to buyers in Europe. In 1842 the Canada West Census for Tay found only 202 residents living in 36 (log) houses on 1821 acres, only 246 of which had been improved. Otherwise, settlement was concentrated near Penetanguishene and Coldwater. Approximately 85% of the inhabitants were of British origin and 15% were French Canadian. They grew mainly potatoes, oats, peas and wheat. They kept a few cattle, sheep, hogs, as well as horses and oxen. Widespread settlement of the southern part of the Township did not occur until the 1860’s and 1870’s when pioneers arrived from Durham County. Tiny and Tay were incorporated in 1857. By 1879, the extension of the Midland Railway (later the Canadian National Railway) west to Midland from Orillia and the North Simcoe Railway (later the Canadian Pacific Railway) north to Penetanguishene from Barrie, greatly accelerated development. By 1881 44% of Township land was occupied with 15% being cleared. In the mid-19th century, several forces combined to create a burgeoning lumber industry, based upon the plentiful white pine in the forests along Georgian Bay and the huge demand for sawn lumber in the new towns and cities of the US. In 1843, a man named John Hogg from the military establishment at Penetanguishene built a small sawmill at the mouth of the Hogg River. As settlement grew up, the area took on the name Hogg’s Bay, later renamed Victoria Harbour in honour of the reigning monarch. Later, several other small lumber mills sprang up in the area including the Hall mill at Waubaushene (1861), the Christie Mill at Port Severn (1870), the Laramy mills at Sturgeon Bay (1872), and the Tanner mill at Tannerville (c 1873). In a few short years Georgian Bay was lined with sawmills from Collingwood to Britt. Development of the surrounding town sites began as the companies built housing and amenities for the mill – workers and managers. As operations expanded workers flowed in from Ontario, Quebec and the US. In their heyday, Victoria Harbour and Waubaushene each numbered over 2,000 people. Once the local lands were stripped of their remaining trees, the lumber gangs moved northwards and cut down the forests along the eastern and northern shores of Georgian Bay. By 1920 however, most of the commercial pine below Sault Ste. Marie had been harvested and the companies ceased operations soon thereafter. The mills were torn down and most of the company property was sold. Several hundred workers were laid off and many left the area. Those families who stayed found opportunities with local boat builders, tourist operations, home builders, Hydro Electric, the railways and steamship companies. After 1832, steamer service on Lake Simcoe and Georgian Bay helped bring in more settlers and freight. In 1844 the Sturgeon Bay Road was opened between Coldwater and Tay Port, at the mouth of the Sturgeon River, which for a time became the embarkation point for passengers travelling to the upper lakes. A shipping depot was established and docks were installed. Collingwood, however, became the principal port in 1855 when the Northern Railway reached that point. 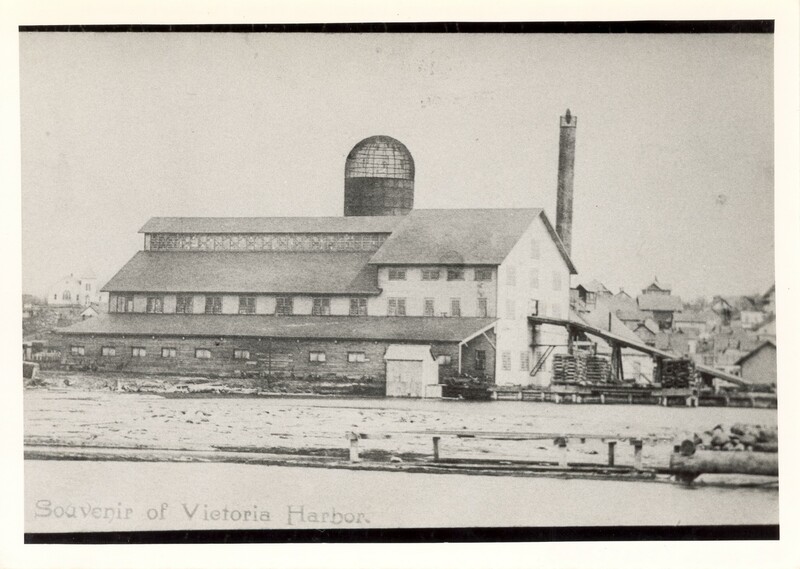 The development of the lumber industry at Waubaushene, Victoria Harbour, Midland and other ports, together with the extension of the railway to Midland by 1879, added much growth to the shipping trade. The growth of navigation between lake ports brought cargoes from Chicago, Duluth and the Lakehead for transfer to rail lines that stretched to the Atlantic and that carried other goods west. The erection of grain elevators at Midland and elsewhere brought many grain ships from the Lakehead. By 1912 the Canadian Pacific Railway had built its own port on Georgian Bay. 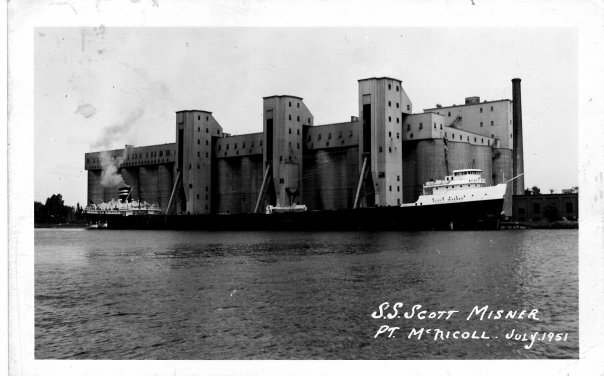 Port McNicoll, named after a Vice President of the CPR, provided a fine harbour and a location easily reached by train, resulting in a more direct and shorter route for shipping western wheat to the eastern seaboard. Construction of a grain elevator, railway depot and a half-mile -long wooden trestle over Hogg’s Bay began in 1908. In 1912, the CPR moved its 5 steamship fleet from Owen Sound to Port McNicoll. The elegant twin passenger ships the Assiniboia and the Keewatin serviced the Port McNicoll terminal for over fifty years, along with their freight-carrying contemporaries, the Alberta, the Athabasca and the Manitoba. In the early years of the CPR ships the majority of passengers were immigrants heading west, but later, as traffic patterns changed, they became mostly tourists. “Boat trains” from Toronto brought in passengers to take the scenic route across Georgian Bay and Lake Superior to the Lakehead. Passenger service ended in 1965, but taking passengers west was the start of the recreational industry on the Bay. The opening of the St Lawrence Seaway in 1959 cut the amount of grain coming into elevators of the Bay ports drastically. Better highways and the trucking industry further changed the modes for shipping lighter freight. The last of the CP freighters, the Manitoba, was withdrawn from service in 1950. 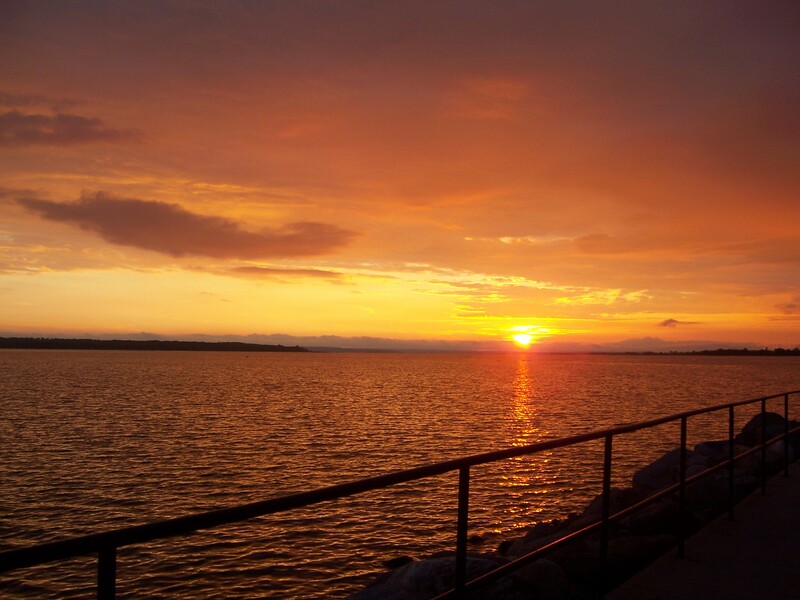 With 43 kilometres of beautiful shoreline, Tay is located in one of the most picturesque areas in Canada. Tourism and recreation activities abound in Tay and the nearby municipalities, as well as the Thirty Thousand Islands and Muskoka area to the north. The waterfront is complemented by the recreational Tay Trail on the former CNR right-of- way, a large number of marinas, several residential developments, and numerous cottages and 2nd homes. Rural Tay includes forty different farming operations on more than ten thousand acres. Tracts of Simcoe County Forest help regenerate the earlier stands to provide wood for the forest industry, homes for wildlife, and recreation for residents and visitors. The pleasant communities mix together young families and retirees. And the historic areas are very important in understanding the development of Canada as a whole. Cranston, Herbert J. – Huronia, Cradle of Ontario’s History – Historic Huronia Sites Association, 1949. Haskill, Mary. Nosing into the Past: Life and Times in Huronia. Huronia Museum, 2002. Hunter, A. F. – A History of Simcoe County – Barrie Ontario, County of Simcoe 1909. This entry was posted in heritage, history, Port McNicoll, rural Tay, SS Keewatin, Victoria Harbour, Waubaushene and tagged Canada, Canadian Pacific Railway, Champlain, Georgian Bay, Huron, Martyrs' Shrine, Ontario, Penetanguishene, Port McNicoll, rural tay, Simcoe County, SS Keewatin, Tay Township, Tiny Township, Upper Canada, Victoria Harbour, Waubaushene, Waverley. Bookmark the permalink. Can anyone tell me how Vasey Road got its name?